Down 1. Three of them were blind, per a nursery rhyme 2. Black and white cookie 3. Actor and comedian Cole of “Black-ish” 4. Group of judges or interviewers, often 5. QED part: Latin 6. Financial company bailed out in ‘08 7. Carp common in ponds 8. It may be subordinated, as junior* 9. Reduce, ___, recycle 10. Napoleon’s island of exile 12. Exceptional generosity 20. Like an un-flipped light switch 21. Tiny 22. It helps heal a bruise 23. McKellen in The Lord of the Rings 24. Assuaged, as an appetite 25. What many Twitter users want; abbr. 26. Sophomore year scholastic downturn? * 28. Dandy 30. Cipher 31. Circular driving maneuver, often as a taunt 35. Quirky comedian and actor Andre 37. Dorothy’s dog in “The Wizard of Oz” 38. Ostrich-like birds 39. Catchy opening line, in journalism 40. Common chemistry suffix 42. AOL competitor 43. Explosive AC/DC song? reetings new and returning Mountaineers! I am excited to introduce myself to you as your editor-in-chief of The Appalachian for the 2018-2019 academic year. Our staff has served as the student voice of App State for 84 years, and this year we will continue reporting on the news that impacts you, the students. Alexander Hubbell│@therealalexhubb│A&E Reporter company.” Sabo and Davidson wore many hats at the company, from playwright, to director, to actor, to dialect coach and more. As the room filled up even more, Davidson explained how the theater ’s room in I.G. Greer was created. “It was a music room. That’s why they have the risers built in. They were for the instruments in the room,” Davidson said. Sabo said the room had many pros and cons. The lights and sound were a pro, but the lack of air conditioning and the proximity to the bell tower made it difficult. There were limited options for the couple to find a proper studio. 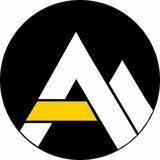 “We’re loosely affiliated with Appalachian State but we’re not under university rule. So we pay to rent it. This is what we’ve got for now,” Sabo said. Sabo has already seen the impact that the theater has made in the community, beginning with the diverse crowds. “It’s a community that is really supportive,” Sabo said. The couple supports their actors as much as the community has supported them. “We’re sort of a hybrid theater. We pay most of our actors for most projects that I do. Sometimes it’s a $20 stipend but we do have one union actor at the show, and so he gets a regular union paycheck,” Sabo said. The couple takes in varying actors from professional to beginner. One of the focuses of the current show is the timelessness of the #MeToo movement, explaining that the actions that invigorated the cultural movement have been going on for hundreds of years. Showing a modern audience “Measure for Measure,” which was deemed a comedy in Shakespearean times, presents men utilizing their power with malcontent. “We try to do work that is just not entertainment. We do pertinent work, we’re not a social justice theater, but we’re never pedantic. Our mission is to bring things to light or talk about things that are not usually talked about because it’s uncomfortable,” Sabo said. Art articulates the side of things that we might be blinded to by our upbringings, Sabo said, which makes it the best way to approach issues like sexual assault. Freshman psychology major Ethan Brown, who was fresh off the activities of first-year orientation, sat down before the show to support a friend who was ushering for the night. “She’s not into plays, but she is going to make me go to a lot of her performances. She wants me to go to all of her plays, because I don’t have a reason not to,” Brown said. The show enlightened Brown, and perhaps it could bring another perspective to the stage in the future. “This makes me really want to be a playwright,” Brown said. The play was applauded and received a standing ovation. The actors listed off organizations that the show supports like Oasis, which is one among other charities that lend a space for women under duress mentally or physically. For more information on the In/Visible Theatre, their next production or the cast and crew, visit their website at InVisibleTheatreNC.org. gram, which is a really cool program at App.” The partnership with the festival allows for more opportunities during the week of the main event for the local community to be supported. “For us, we partner with them and do beer tastings from Tuesday to Friday, with different breweries, sometimes multiple breweries, each night before the Beer Fest,” Collins said. “It’s a nice lead up to it. That’s really supporting our local folks.” The sponsors of the event are not the only ones with a background in beer brewing. Brett Taubman, the director of the festival, is experienced with the practice. “I am an analytical chemist who has always been interested in the environment and foods and flavors,” Taubman said. “My interest in the environment drove my original research area in atmospheric science. Since I’ve been at Appalachian I’ve transitioned to fermentation-related chemistry research.” Taubman has picked up an area of research that aids the community as well as himself. “Right now I’m working mainly on hop aroma chemistry. Not only do I find it fascinating and conducive to undergraduate research, it also stands to make a large impact on the brewing industry,” Taubman said. With sponsors and owners both having strong backgrounds in fermentation, Beer Fest provides several benefits to the Appalachian State Fermentation Sciences Program. “The High Country Beer Fest is unique in that it is a boutique festival with a focus on education. The beautiful setting of the High Country certainly doesn’t hurt either. In the 11 years we’ve been doing it, I think it’s really grown to become a premier event in the High Country and in the regional brewing industry,” Taubman said. For further information regarding ticket pricing, hotel discounts and volunteer opportunities, visit the High Country Beer Fest website at hcbeerfest.com. he High Country Beer Fest will return to Boone Saturday at the High Country Fairgrounds from 3 p.m. to 7 p.m. “The High Country Beer Fest is a celebration of craft beer from around the region and the world,” according to the High Country Beer Fest website. The annual festival, a nonprofit event which supports App State fermentation sciences among other local non-profit organizations, is in its eleventh year. The festival is known for its opportunities to taste “outstanding beer,” according to its website. The festivities, however, also include craft food, live music and seminars. A number of brewer scholarships and local charities will be supported, Amber Bateman, the festival’s Facebook account owner, said. Bateman also commented on the festival’s entertainment value for everyone. “We organize the festival so it’s great for craft beer connoisseurs as well as those just looking for a good time with great tasting beer,” Bateman said. There will be many sponsors at the event including one who has served Boone for 40 years now; Peabody’s Wine and Beer Merchants, a bottle shop with about 2,000 wines and about 1,500 beers, located just off campus on Highway 105. Katie Dodge, founder of G7MEDAY5, posing with Parker Collins, former App State football player. Dodge said Collins was her inspiration to create her clothing brand that features customized App State spirit wear. // Photo courtesy. signed around the App State colors and logos, she also creates styles for other schools and sports teams. “I provide my product for purchase based on what the buyer wants,” Dodge said. “Someone tells me the shirt they want me to buy, I purchase it with their money, redesign it, charge an extra fee for reconstruction and return it.” This business model allows Dodge to create clothes for a variety of schools, teams, clubs, etc. App State still holds a special spot in Dodge’s heart when it comes to her designs. “I kind of want App State to have their own thing,” Dodge said. “I feel like all of these other big schools have a bunch of cute stuff, so I’m really trying to focus in on App.” Dodge’s business has taken off with constant requests for new orders. “This business has really already done well,” Collins said. “The product looks good, it’s done the right way and all of the steps she’s taken up to this point has really paid off.” Although she only started making plans for her business six weeks ago, Dodge is already thinking of the next steps to make her clothing appeal to more people. Since Dodge is still in the first stages of her business, her variety of styles are still quite limited. One of the biggest requests in expansion so far has been adding more styles for plus-sized people. “I’m not trying to hone in on one specific size with my clothes at all; I’ve just been trying to start smaller scale with my product,” Dodge said. “I know what size I wear so I can take pictures and advertise right now, but I’m looking into getting more plus-sized items for people at App State.” Although the future of Dodge’s company is still being decided, she has already received plenty of positive attention for the work she has done. “I’ve only known Katie for a short time, but her customer service has been great,” Eckman Thomas said. “So far she’s shipped the same day or the day after for all of the orders I’ve gotten from her and arrived at my house within two days.” Despite her successes, Dodge is struggling to get her message out there about the new clothes she has to offer. “Marketing is very difficult because I don’t have a storefront for people to see the shirts and try them on, so I have to slowly use social media, word of mouth and people posting stuff to get my business out there,” Dodge said. If you’re interested in Dodge’s game day wear fashion, you will soon be able to find her products at Appalachian Sportswear on King Street or go online to g7meday5.com. Katie Dodge, creator of G7MEDAY5, creates custom App State apparel. Dodge customizes not only App State apparel, but also T-shirts for other colleges. // Photo courtesy. dorm, but also providing directions, answering questions and displaying the “Appalachian Way” spirit, according to App State Housing. 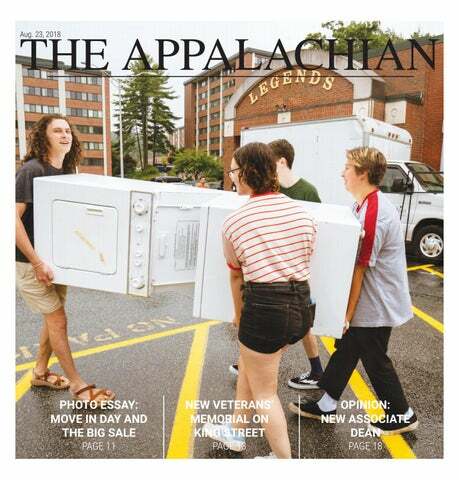 While parents helped freshmen move into their dorms, they also reflected on why their child chose App State. “Just for obviously the beautiful scenery here and it’s a good school,” Kim Britt, parent of an incoming freshman and junior, said. Incoming freshmen continued Welcome Weekend with events and activities planned by the Appalachian Popular Programming Society and various other clubs and organizations. Chancellor Everts and members of the Chancellor’s cabinet at Justice Hall on Friday carrying a bag of cookies to hand out to move-in volunteers. The treats she gave out Friday were provided by Appalachia Cookie Company. Members of the App State Marching Mountaineers take a break between songs. The band practiced at Duck Pond Field while students settled into their dorms Friday. Move-in volunteers welcome students and families to App State on Friday. Freshmen and returning students arrived in Boone this weekend in preparation for the fall semester. Barry Sauls manually operates the stoplight cycle at the corner of Stadium Drive and Rivers Street. He said the traffic during move-in weekend would be more chaotic if the lights were permitted to run as usual. A whiteboard on a student’s door reads, “come on in!” Freshmen moved into their residence halls for the fall semester on Friday. Sarah Thompson and Joshua Harker, resident assistants at Coltrane, greet new residents from the hall lobby. Resident assistants spent welcome weekend checking in students, assisting with maintenance requests and making sure students felt at home. Sophomores Gracyn Travitz and Michael Davis introduce themselves to new students at the Honors College Convocation. The event took place in Belk Library and was hosted by Dr. Jeff Vahlbusch. Students sprint across Sanford Mall in a game of sharks and minnows. Appol Corps leaders helped new students break the ice with a plethora of activities this weekend. HEALTH AND SCIENCES BUILDING The Leon Levine Hall of Health Sciences is on schedule to open on the first day of classes for App State, according to the Watauga Democrat. Moving into the building will be phased so that some classes will start teaching in the new building while lab and office equipment is also moved in, according to a Google Doc published by App State. Nutrition, health care management, social work, and communication sciences and disorders will hold classes on Tuesday, according to Megan Hayes, chief communications officer for App State. The grand opening is slated for Sept. 21 at 1 p.m., according to a Google Doc published by App State. NEW ASSOCIATE DEAN THE COLLEGE OF FINE AND APPLIED ARTS Garner Dewey was named the new associate dean of the College of Fine and Applied Arts at App State, according to App State. He officially started his position on July 2. Dewey served as the interim associate dean during the 2017-2018 school year, according to App State. According to Dewey’s LinkedIn page, he graduated from the University of Georgia in 2003 with a doctorate in occupational studies. He also served as an Assistant Professor at App State from 2003 to 2009 and as an Associate Professor from 2009 to present. STATE FARM NO LONGER FRESHMEN LOT The State Farm parking lot will no longer be available to freshman App State students, according to App State parking. State Farm is only available to graduate students, seniors, juniors and sophomores. Freshmen will have the option to park at the Hwy 105 Lot. That is the only parking option for freshmen students. Graduate students, seniors, juniors and sophomores can also park there. The State Farm lot is recommended for students who have classes in the Leon Levine Hall of Health Sciences, according to App State parking. Construction taking place at the App State sign off of Highway 321, future home of a statue of App State’s co-founder, B.B. Dougherty. The construction was scheduled to be completed before classes begin for the fall semester. his fall, App State will unveil its new Founders Plaza. This plaza will replace App’s current welcome sign in Durham Park. The new Founders Plaza is being built in honor of B.B. Dougherty and D.D. Dougherty, the brothers that founded App State, as well as Lillie Shull Dougherty, D.D. Dougherty’s wife. The goal of this new plaza is to “create a safer, more welcoming space for visitors and graduates posing for photos,” according to the App State website. It will include outdoor seating for studying and campus events, an updated double-sided welcome sign and the statue of B.B. Dougherty that is currently located between Sanford, I.G. Greer and East Halls. Construction is being completed by Greene Construction Inc., a local company that has been contracted by the university for a number of projects, including App’s new Beaver College of Health Sciences. “The very first time I came to visit App, the first thing I noticed was the sign, and I feel like it ties App together and gives that impression of what App is,” Sarah Daniel, senior psychology major, said. The new Founders Plaza will be unveiled in a ceremony on Sept. 5, App State’s Founders Day. Founders Day will be “celebrated each fall to honor our founders and the first day of classes in 1899,” according to Chancellor Everts’ remarks to the Board of Trustees on March 16.
s of Aug. 20 AppalCart, a public bus service that has been serving the Boone area since 1981, will have updated bus routes. The updates are to help buses run ontime and more efficiently, according to AppalCart’s website. “There have been capacity issues throughout the last year and the year prior to that,” Craig Hughes, transportation director of AppalCart, said. “There were students that just couldn’t get on the bus because it was full when it got to their stop.” One way that issue is being solved is by having a more consistent bus schedule. For example, the Red Route will show up at bus stops every 15 minutes as opposed to last year’s schedule when a bus arrived to a stop every 30 minutes. will cause students to take classes on campus in buildings such as Edwin Duncan or online the first few weeks of the semester, according to Thompson. However, certain classes will be starting the semester in the building. “I am hoping that the bus system is more organized, as anticipated, because I have been left behind before,” Thompson said. “And the College of Health Sciences is too far from campus to walk for students that cannot afford a parking pass.” For any other questions about the 2018-19 bus routes and schedule information, visit https://www.appalcart.com/ new-map-schedules. held by the community. ASU has done a great job reaching out to veterans and supporting them while enrolled at the university,” Schmitt said. Many veterans involved in the App State community have praised the creation of this memorial since its unveiling. “Just like us, it is not super flashy, but there is something different,” Jimmy Arnett, former Marine Corps and a volunteer for Student Veteran Services, said. The “Time and Honor” sculpture encompasses the veteran community, according to Arnett. One plaque serves as a placeholder who those who might lay down their lives in future wars or conflict. Sophomore running back Jalin Moore attempts to break through a tackle against Georgia State. season’s Heisman Trophy, according to si.com. McSorley ranked No. 17 in the nation in 2017 in passing yards with 3,570, No. 10 in completion percentage at 66.5 and tied for No. 15 in touchdowns (28) with none other than former starting quarterback at the University of Toledo, Logan Woodside. App State does return running back Jalin Moore, who earned All-Sun Belt First Team honors for 2017 after leading the conference in rushing yards with 1,037 and scoring 12 touchdowns while missing two complete games. At Sun Belt Conference Football Media Day in July, he stressed the importance of the Mountaineers taking every game seriously. Sophomore running back Jalin Moore takes the ball from Junior quarterback Taylor Lamb against Georgia State as Moore covered for Marcus Cox, who was recovering from a lower body injury. ith summer ending, students from all over the country are coming to Boone to start another semester here at App State. App State had over 3,000 first-time freshmen students last year, according to data found on the school’s website. Thanks to statistics from the Office of Admissions, it is safe to assume that the 2018 freshman class will be even larger. Close to 4,000 students will be coming for their first semester of college here in Boone, all waiting to experience the same magical moments we have all had over the years. As many of our newest students moved in Friday, we asked them a handful of questions about the upcoming school year. What they know, what they don’t know and what they’re most excited about as Mountaineers. 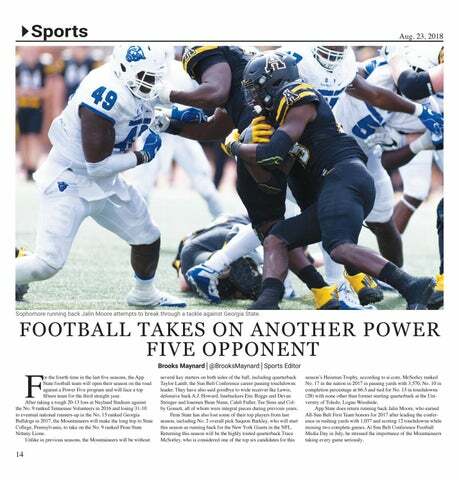 Of the students asked on Friday, the general consensus was that football games are the most talked about aspect of athletics here at App State. Multiple students agreed that they were most excited for their first football game and the upcoming season in general. attention to the school’s various varsity teams. Outside of football, there were a couple different sports the two students wanted to know more about when it came to App State. “I’ve always liked volleyball but never really had a team to pull for, so I think I could see myself going to some volleyball games,” Crocker said. The Mountaineer volleyball team is set for an exciting 2018 season with their own freshman players, who posted a hard-fought 4-1 victory over the Wake Forest Demon Deacons Friday. “I love college basketball and have always paid close attention to the sport in general,” Stichter said. “My goal this year is to see a bunch of basketball games since I have a school I really want to root for now.” With the 2018-2019 school year starting and plenty of fresh faces around campus, there is a lot to be excited for as a student, from the game day atmosphere in football season, to crowding around a pit fire at an evening baseball game. Join The Appalachian! Meetings are in Plemmons 217 Sundays and Thursdays at 7 p.m.
App State football players sign posters for fans at Fan Fest in Kidd Brewer Stadium. App State football opens up their season at Penn State University on Sept. 1. An App State fan slides down an inflatable slide at Fan Fest. Multiple inflatables were at Fan Fest to provide fun activities for kids. Clifton Duck, defensive back, gets ready to attempt a field goal as defensive back Tae Hayes holds the football. Duck missed the field goal attempt as his teammates watched around him. Clifton Duck, defensive back, poses with two babies at Fan Fest. Duck has been named to the Jim Thorpe Award watch list as well as being named Preseason Defensive Player of the Year from the Sun Belt Conference, according to App State sports. A young App State fan attempts pull-ups at the Marine Corps tent at Fan Fest. After completing as many pull-ups as they could do, participants received a Marine Corps lanyard. attention was on me, and it seemed, in that moment, that the only thing he cared about was listening to and getting to know me. As I interviewed him, it became abundantly clear that he cared deeply for the students of App State. He emphasized that, while he had certain responsibilities that accounted for a large amount of his position, he had two priorities for his time in the position. The first was in regards to assessment, which refers to assessing whether or not classes are providing the education and preparation for the real world that students will face. Dewey said this was very important to him because he cares for students and wishes for them to be able to succeed after leaving App State. His second priority centered around diversity and inclusion. This was something that he focused on during his time directing the QEP, and he said that he wishes to continue with this going forward. “How do we become more inclusive, how do we provide assistance in the sense of making them feel at home, to be able to garner from their experiences?” Dewey said. He also spoke about his desire to interact more with students, making sure to emphasize his belief in having an open door in order to listen to students. “I am here available to students if someone needs to come and speak,” Dewey said. “We have students come in with concerns. Not everything is rosy. Not everything goes well.” His demeanor and goals, combined with his prior experience, prove that Dewey will be very effective in his role as associate dean going forward. Garner Dewey is an associate professor in the Department of Applied Design, director of App State’s Quality Enhancement Plan, and a lover of nature photography. He was recently appointed the associate dean of the College of Fine and Applied Arts. All of this leads me to believe that Dewey’s appointment was a great move on behalf of the College of Fine and Applied Arts, and I firmly believe that he will be a great asset for all students at App State. App News is a service of the Division of Student Affairs. Email editor@theappalachianonline.com for submissions with subject line: APP NEWS PAGE. Submissions should not exceed 100 words and must include the event title, date/time, location and cost, and a contact email, phone and/or URL. Announcements will be edited as needed and will run as space allows. Preference is given for events that are free or have a nominal cost. The Peel Literature and Arts Review is ASU’s student-run literary arts publication. We are seeking students to submit their creative works for review and possible publication. Submit your art, music, design, poetry, prose, fashion and more at thepeelreview. submittable.com. Find more information by visiting thepeelreview. com or following us on social media @thepeelreview. The Appalachian student newspaper is looking for students interested in getting their political cartoons and illustrations published. Use your illustration talents to express your opinions and commentary on current events. Email editor@theappalachianonline. com for questions or interest. Want to layout this paper? Have a flair for graphic design? Email editor@theappalachianonline.com to express interest! Experience with Adobe Creative Suite (InDesign, Illustrator, Photoshop) preferred but not required. Opportunities available for student designers of all skill sets. *Only at Publix at Three Creeks. This offer excludes prescriptions, alcohol, tobacco, gift cards, lottery tickets, postage stamps, money services, and Publix Delivery. Customer is responsible for all applicable taxes. Please present one of the following at purchase: a valid, unexpired college or university ID card. a valid, unexpired college or university ID card. 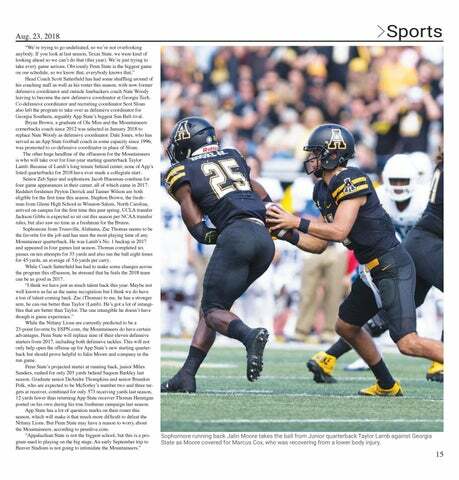 A preview of App State's game against the Penn State Nittany Lions.